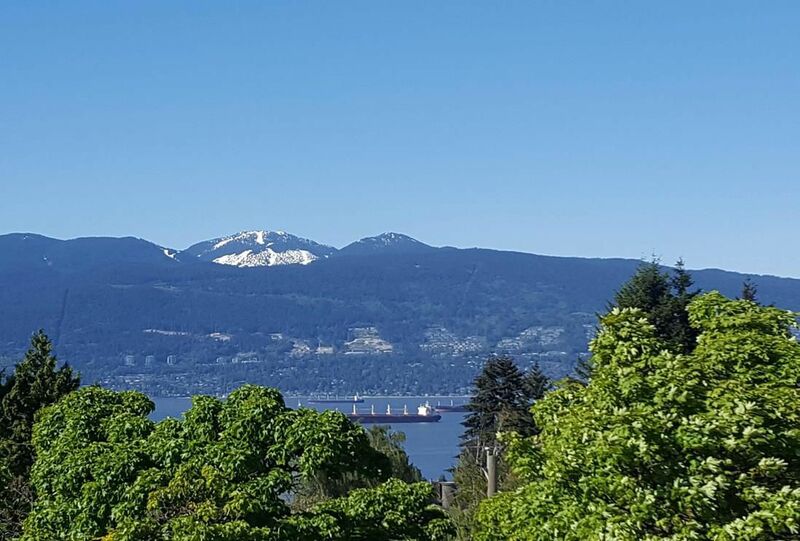 DEFFINITELY ONE OF KIND ENJOY THIS UNOBSTRUCTED BREATHTAKING VIEWS OF WATER, CITY & MOUNTAINS. AN EXCEPTIONAL UNIQUE WEST COAST CONTEMPORARY NEW HOME. IN MOST PRESTIGIOUS POINT GREY LOCATION. This beautiful home simply offers Almost 4,500 sq.ft. PLUS amazing 592 sq.ft. roof deck. QUALITY is built into every detail. Over-height ceiling, hardwood floors throughout, open spacious gourmet kitchen with high-end kitchen cabinetry & appliances. 4 generous size bedrooms & den, 5.5 baths. Media room offers unbelievable entertainment & wet bar, wine cellar, radiant floor heating system, A/C, HRV, steam shower. ADVANCED HOME SMART SYSTEM SECURED private back yard w/SOUTHERN EXPOSURE back yard. STEPS AWAY from WEST POINT GREY ACADEMY. Close to LORD BYNG HIGH SCHOOL, QUEEN MARY ELEM, ST.GEORGE’S, CROFTON HOUSE PRIVATE SCHOOL & UBC. BEACH, SHOPPING. MUST SEE!